SPLM-IO’s representative to Qatar, Yohanis Musa Pouk, has resigned, citing frustrations over the group’s failure to make reforms. Musa said he had written a resignation letter to South Sudanese opposition leader Riek Machar, who is currently in the Sudanese capital Khartoum. Musa, who joined Machar’s opposition group in 2013, said Machar has allowed his wife Angelina Ateny “to usurp powers” in the movement. The opposition movement, Pouk said, had been paralyzed by Angelina Teny, who also serves as chairperson of the SPLM-IO’s committee for security and defense. 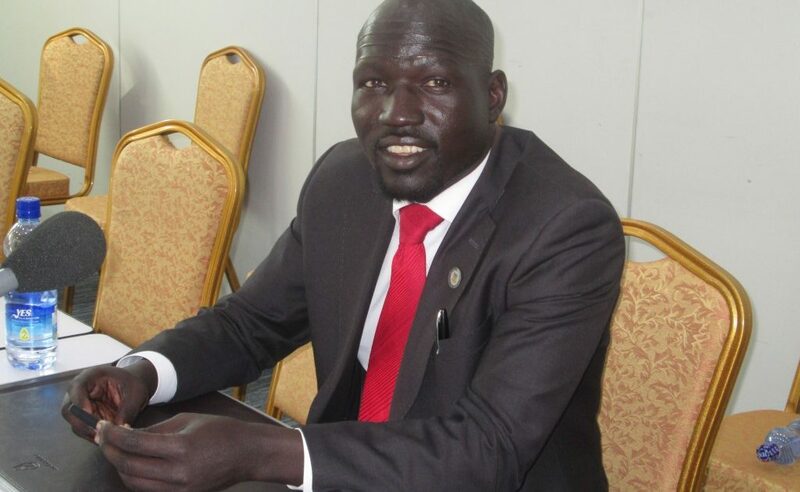 “I cannot continue serving in a paralyzed movement,” Musa said, adding that “We cannot go to Juba in this way because the movement is being led by the wife of the SPLM-IO chairman, so I cannot be able to serve”. Pouk pointed out that he took the decision as a result of lack of dialogue in the movement, adding that many leading members of the opposition movement had been excluded from the decision-making process. Musa Yohanis had served as a spokesperson for the SPLM-IO movement in 2014. SPLM-IO spokesperson Mabior Garang de Mabior could not immediately be reached for comment.